iLamparas.com has a catalogue of over 100 brands and a total of 300,00 items, of which 135,824 are totally available. All of them 100% original, made by renowned Spanish and Italian manufacturers such as Vibia, Modiss, Artemide, Foscarini or iGuzzini and many others. Our followers on social networks are the best proof of our trusting guarantee and good deeds. We currently have over 30,000 followers on twitter and more than 15,000 “likes” on Facebook. On our 3 years lifespan, we have processed more than 4,500 orders and 5,000 quotes. Our well-done job is backed up by our 30,000 followers on Twitter, around 15,000 “likes” on Facebook and our database of more than 5,000 registered users. iLamparas.com adaptability provides a wide range of ways to get in touch with us, thanks to the efficiency of our customer service team. Every order made to iLamparas.com is guaranteed by Trusted Shops. This recognises the transparency and credibility of our website as well as proves our social and ethical engagement with our users. Furthermore, if you are not satisfied with your order, your money will be refunded within 14 working days after the delivery. We offer a VAT discount to all those companies from the European Union that provide us with their fiscal number. Delivery costs are completely free in Spain mainland for orders above €150 net. Compared to other online sites, iLamparas.com has an operative system developed exclusively for this site, programmed on PHP and MySQL, that offer our visitors more than 40GB of information, 10GB of PDF files or 43GB of photographs, all these items with a high speed average of 1.2 seconds at loading. The web is updated on every aspect daily. We have recently changed most of the source code of iLamparas.com into HTML5 in order to offer greater web efficiency to our clients. We are proud of our blog and of each one of its over 500 entries. Indeed, the blog complements our website perfectly and it also helps out our website into being one of the most relevant. 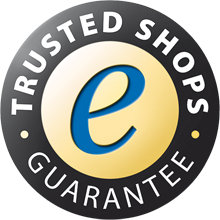 iLamparas.com is guaranteed by the seal of Confianza Online. This seal recognises the transparency and credibility of our website as well as proves our social and ethical engagement with our users.